Take a look at two of Tailwind's smartest features, and see how you can benefit from a steady flow of content on your posting schedule. Successful marketers know that the key to success on Pinterest is having a steady stream of quality content regularly pinned to your boards. The best way to grow your audience and keep them engaged is to have a consistent flow of content that reliably connects with your audience. Pinning consistently every day sounds like a lot of time and effort, and that's because it is! Thankfully Tailwind has two great features to make it faster, easier, and smarter than ever to Pin a lot of content over time: Interval Pin Scheduling and SmartLoop. Let's take a look at both and see what they can do for you! 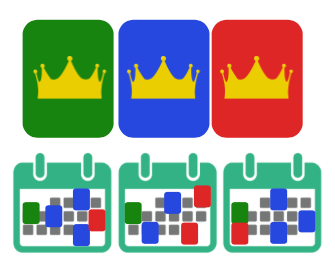 Interval Pin Scheduling allows you to schedule your Pins to post over a set period of time and to multiple boards. In just a few clicks your content will be scheduled at the intervals that you decide, so you can make your pinning feel both organic and interesting to your audience. 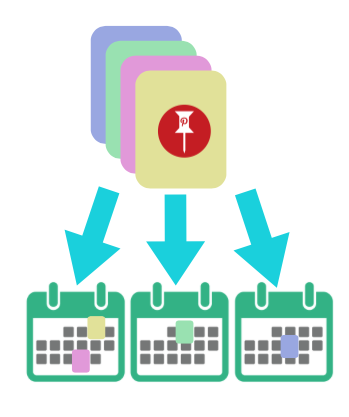 This lets you schedule a lot of content quickly and in one sitting, and have the Pins spread out over time. Your content will show up at more times and have more chances to engage with your audience than posting it all in one go, and your boards will feel more active and interesting to your audience, even when you aren't available to manually Pin new content! Ready to use Interval Pin Scheduling? Check out our Knowledge Base article: How do I use the Interval Pin Scheduling feature? SmartLoop allows you to re-share your best content at the best times with minimal effort. This saves you time by re-circulating your "evergreen" content on a continual basis, indefinitely, and without blind repetition. You can even use Seasonal SmartLoop to share the right content at the best time of day and at the most relevant time of year! Get more mileage out of your best content by re-circulating it at the times when your audience is most engaged. Sounds like magic? It kind of is! Ready to try SmartLoop? Check out our Knowledge Base article: Create your first SmartLoop. Don’t have access yet? Apply for an invite for early access to SmartLoop here. By making use of Interval Pin Scheduling to space out your content as you schedule it and SmartLoop to repeat your best content at the best times, you can be sure that your Pinning stays steady and consistent. You'll be able to fill your posting schedule in less time and with less effort, all while making sure you're posting at the best times when your audience is most active. So what are you waiting for? Try out Interval Pin Scheduling and SmartLoop on your Tailwind account today!